YOUR ORLANDO VACATION STARTS HERE! Florida Finesse offers the best selection of privately owned homes and villas in the Orlando area for all your vacation needs. Our homes are fully equipped to meet your expectations. 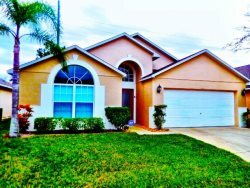 Whether you're looking for family time at the various theme parks, tee time at some of the best golf courses in Orlando, Florida, or just looking to relax by your own private pool, we have the perfect home for you. Plan your Disney vacation with us and make memories you will remember forever. Our homes are available to rent year-round. We cater to holiday makers and those who just want to escape the winter. Come and enjoy your Orlando family getaway. Our attention to detail is what sets us apart. Our friendly and professional staff is always ready and prepared to assist you. Start your Orlando vacation by booking your villa with us. You'll be glad you did.